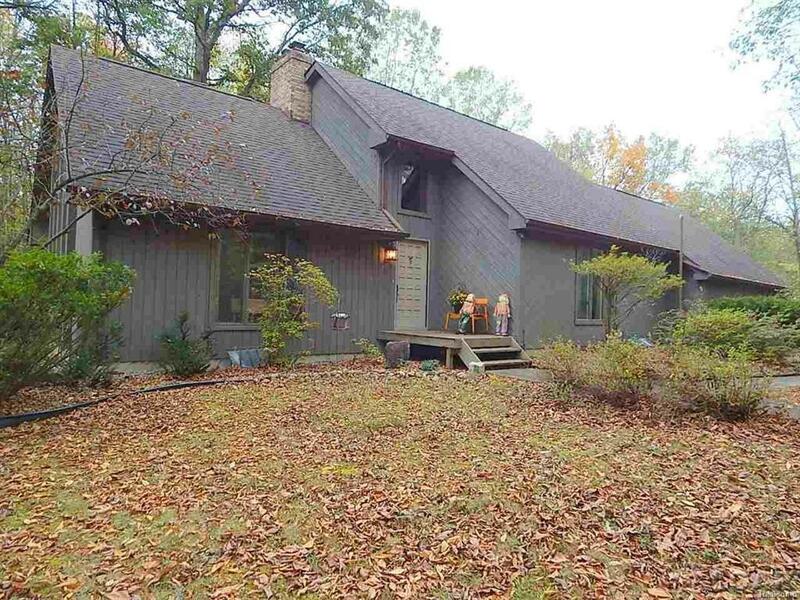 Country retreat nestled in 10 acres of wildlife filled woods. Sit on your 1500 sq ft deck and watch deer and wild turkeys drink from your own pond! Living room cathedral ceilings and a wood burning fireplace with insert to heat your house with wood from your trees! Enjoy views of the woods from the eat in kitchen or dining room with sliders to the deck. Huge master bedroom has custom ceramic tile walk in shower in the en suite bathroom. Entertain friends in large rec room in the partially finished basement. Attached garage and pole barn for your RV and toys. Never head up North again when you can hunt deer on your own property. This is a MUST SEE to appreciate all there is to offer. Room sizes are rounded off to internet format. Square footage and tax information is from Assessors site. Buyer must verify the information and satisfy themselves to exact figures. Unparsed Address 7956 JEREMY DR.